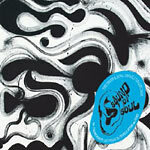 Truth & Soul presents the second volume of their singles collection Fallin Off The Reel. The label has been consistently releasing limited edition 45 singles, and almost never exceeding 2000 copies pressed. Vol.2 has every Truth & Soul 45 single presented in chronological order from 2006 until now, including one unreleased bonus track. With offerings from El Michels Affair with Raekwon, Bronx River Parkway, Lee Fields, Quincy Bright, Black Velvet, Tyrone Ashley & Funky Music Machine, Timothy McNealy, and more!